It’s a funny feeling to be writing an introduction to the ebook of Still Not Happy, John!’, because after so many years in retirement I’m now back doing what I love – writing for and editing a citizen journalism website. Back then it was with the Sydney Morning Herald’s Webdiary, created in 2000 and the inspiration for my 2004 book, Not Happy, John!. 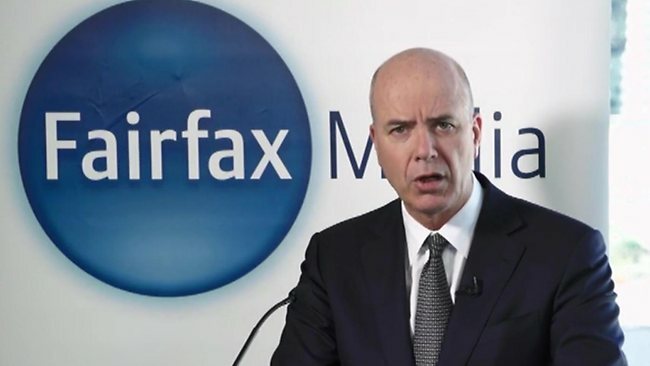 The book saw Fairfax turn its back on my work, and after a gruelling struggle to save Webdiary, I retired hurt in December 2005. A community-supported Webdiary finally closed last July. Its successor, thanks to Twitter, is Australians for Honest Politics, created in December 2012 by former Webdiarist Tony Yegles, my AFHP co-publisher. After seven years as an internet refugee, I’m now a Twitter obsessive, and surprised I’m still up for it. For me it’s ground hog day, but with the bells and whistles of technology making the process easier and more fun. And I’ve been given an armchair ride on Twitter due to the support of many former Webdiarists who’ve since become internet writers and activists. What brought me back was a compulsion borne of amazement that the media had let Tony Abbott get away with claiming the AWU slush fund saga was a question of character for the PM (‘Australians for Honest Politics’ is the name Tony Abbott gave his own slush fund, detailed at length in the book). My first piece back in action – which only Independent Australia would publish – was about Tony Abbott and his slushy character question. Only Michelle Grattan, now a fellow escapee to online new media heaven, had the class to acknowledge a collective lapse in memory in the Press Gallery. No one took up my challenge to push Abbott on his unanswered slush questions, despite their ferocious pursuit of Julia Gillard on hers. Having put history as completely back on the record as I could thanks to The King’s Tribune and New Matilda, I was set to resume my new life until I noted with alarm the extraordinary lack of mainstream media interest in the implications of the Ashby judgement. I wrote of the resonance between the old Abbott slush story and the Ashby scandal, then howled with dismay at the lack of Ashby follow-up. Now, damn it, I’m hooked on journalism again. complicated relationship with a great person. Soon after the 1993 election, under pressure from then editor of The Age Alan Kohler to step back from day-to-day journalism, she left her spiritual home to become the first female editor of a metropolitan newspaper, The Canberra Times. Its owner Kerry Stokes made her promises he failed to keep, and two years later she resigned rather than accept a huge payout to leave quietly. I was one of her journos at The Age Canberra Bureau when she took that job, and was pissed off with her for reasons that are too old to remember. I accepted Kohler’s offer to be chief-of-staff of The Age on the promise there’d be more money for editorial and that I could pick some good journos to join us. It was a lie – not Kohler’s, his bosses – so I backed out and asked Michelle for work. She said yes. Today the Herald looks like it’s lost its Canberra bureau chief, Michelle Grattan, to The Age. It is a devastating blow. I haven’t felt so upset over the loss of a colleague since Michelle left The Age in the early 1990s to become editor of the Canberra Times. I left The Age to work for her soon after, and that stint was the highlight of my career. She proved a courageous, dynamic and scrupulously ethical editor who trusted her reporters and stood by them when the heat was on. I wrote my best work under her editorship. Michelle has always been a difficult bureau chief to work for, and we have often disagreed, often intensely. She is also the most thorough, ethical, intelligent and balanced journalist I have ever met. In short, Michelle Grattan is irreplaceable. Web Diary: The quest for trust.